James Robertson’s portrait (below) was selected for Portrait Salon 2012 and is from a series of images documenting a group of young Afghans skiing on the slopes above their village in Bamyan. This in turn is part of a larger project documenting the many facets of skiing in Afghanistan, and with the help of the VSCO Artist Initiative has expanded to include documenting two Afghan ski guides who visited Switzerland for training with the hope of competing in the next Winter Olympics. James Robertson is a professional photographer based in Edinburgh. Since being awarded The Guardian Student Photographer of the Year in 2008 for his images of the UK boxing talent, James has continued to produce work across a range of sporting disciplines from road cycling to rowing. As well as commerical and product work for a number of publications such as Rouleaur and Privateer he also spends time on his own documentary projects; including a look at off-piste skiing in the Hindu Kush mountains of Afghanistan and a recent series following the members of the one of the UK’s only dedicated ski patrols up in the Nevis Range. “Then the nations that are left round about you shall know that I the LORD rebuild the ruined places, and replant that which was desolate: I the LORD have spoken it, and I will do it”. * The title refers to the name of the only aircraft LAB currently have in operation, on hire to another domestic airline (crew included). It captures the quasi-religious faith the remaining employees have in the airline, which to most outsiders would appear to be a lost cause. “Then the nations that are left round about you shall know that I the LORD rebuild the ruined places, and replant that which was desolate: I the LORD have spoken it, and I will do it.” (from King James 2000 Bible). Words by Amaru Villanueva Rance ([email protected]). Nick Ballon is a documentary and portrait photographer based in the UK, whose Anglo-Bolivian heritage is an important source of subject matter and inspiration in his work, exploring socio-historical ideas of identity and place, the concept of ‘foreignness’ and belonging. He graduated with a BA (hons) from Berkshire School of art and design in 2001, and since then has worked editorially for a number of respected international publications, including the Sunday Times Magazine, The Guardian Magazine, the Financial Times, the New York Times, El Pais and Der Spiegel. His work has been exhibited internationally including at Rencontres d’Arles, Beijing Triennial, Guernsey Photography Festival, KK Outlet, Wellcome Trust, and NCM/Foyle Foundation. He has been shortlisted for the Taylor Wessing Portrait Photography Prize four times, and received an honourable mention for the Photographic Museum of Humanity grant. In 2013 he self-published his first book Ezekiel 36:36 which looked at the curious and precarious existence of Bolivia’s national airline, which received much critical acclaim and was one of TIME’s best photo-books of 2013. His second book ‘The Bitter Sea’ will look at land-locked Bolivia’s painful longing to reclaim back its sea lost in a war to Chile over 129 years ago, and will be published by Trolley Books. Nick Ballon’s book Ezekiel 36:36 is available to buy here. Adrian Nettleship’s portrait (below) was selected for the first Portrait Salon in 2011 and he tells us more about the series it belongs to called ‘Drowning’. 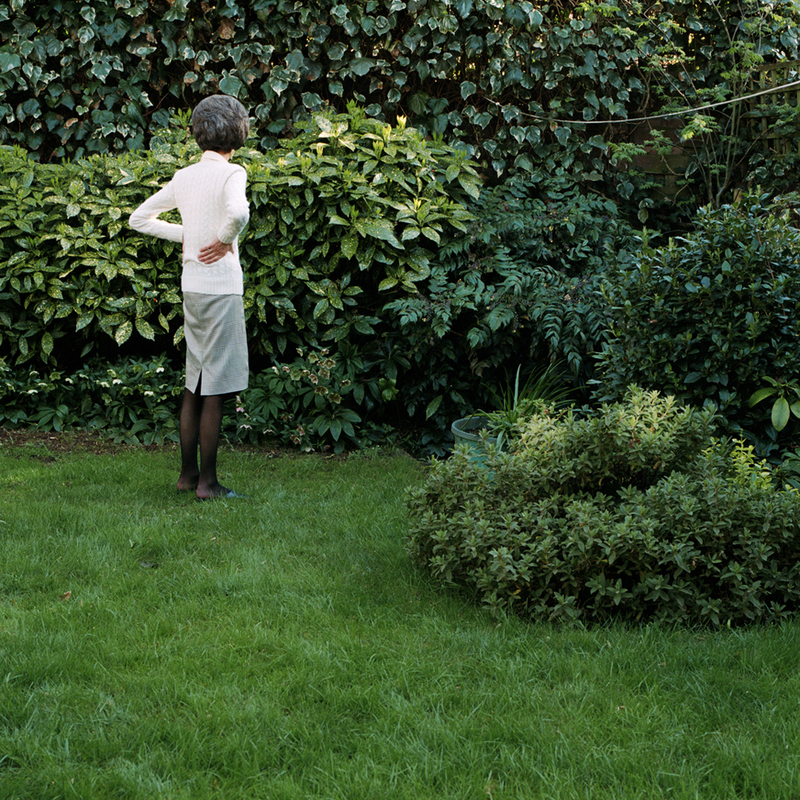 Adrian Nettleship is a photographer based in East London. He has been working professionally in stills and video since 2005 and clients include The Wire Magazine, RWD Magazine, Tate and Lyle, and Christian Aid.